Matthew Lewis was born on June 27, 1989 in Leeds, West Yorkshire, England. His acting career started when he was only 5 years old, in a TV show called Some Kind of Life. 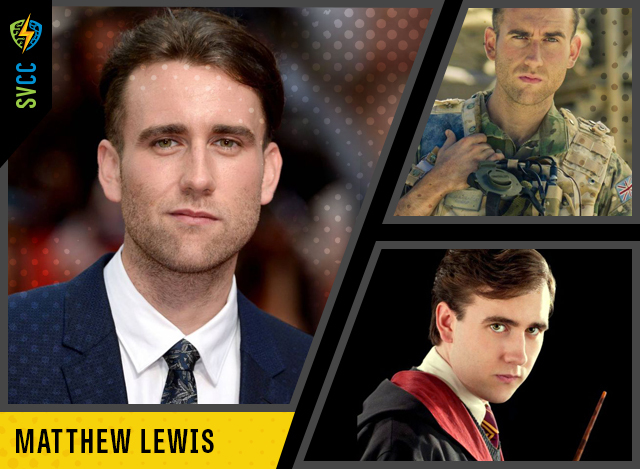 He is best known for his role as “Neville Longbottom” in the Harry Potter films. Most recently, he played the character of “Patrick” in the movie “Me Before You” (2016). His pastimes include watching Football (Soccer), and his favorite team is Leeds United. He also enjoys listening to music, and a few of his favorite bands are Greenday, Red Hot Chilli Peppers, The Strokes, The Killers, Guns n Roses, Velvet Revolver. Along with music, he enjoys playing PlayStation (FIFA Football and Fight Night Round 3). For an extensive summary of Matthew Lewis’s career, click here.